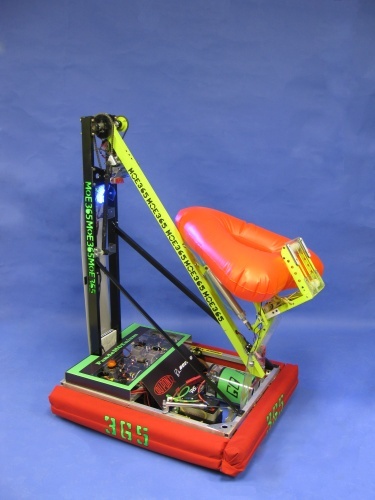 PandeMOEnium is a bright green and black robot designed to obtain and hang Logo Pieces and Ubertubes from the feeder station or off the floor with a roller grabber. 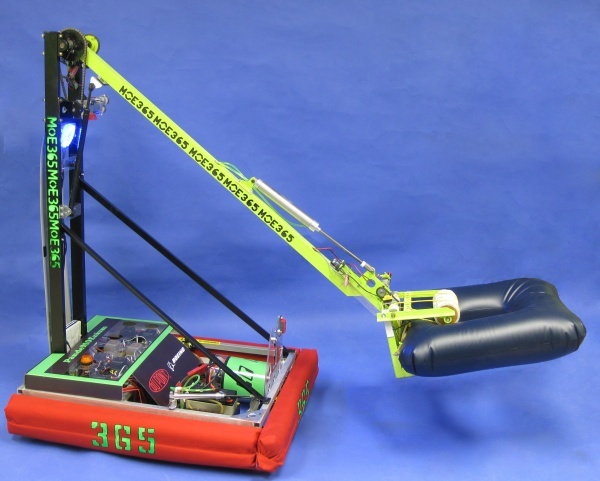 It can target pegs with IR tracking to improve hang time and can deploy a minibot up the tower in under 2 seconds. 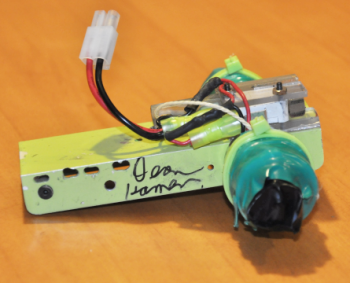 Dean Kamen signed our minibot!